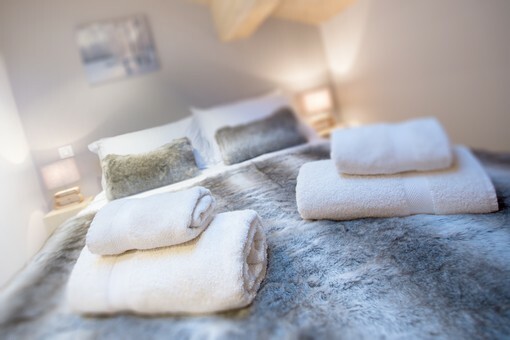 Our range of holiday rental chalets have been carefully selected to offer the discerning guest a high standard of accommodation and value for money. We have a range of chalets to suit all group sizes and budgets. All our holiday rentals have fully equipped kitchens, WiFi internet access and English & French TV. 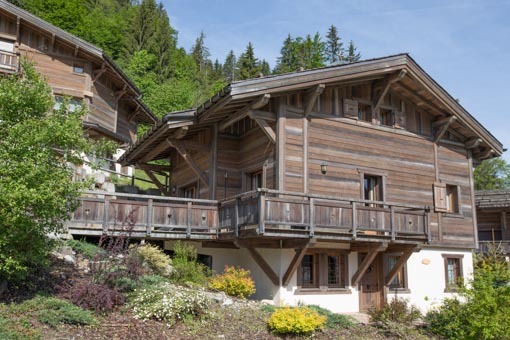 Ideally located on the edge of Morzine, this newly built chalet can accommodate 10-12 people comofably in 5 bedrooms. It is very spacious making it ideal for a couple of families sharing. 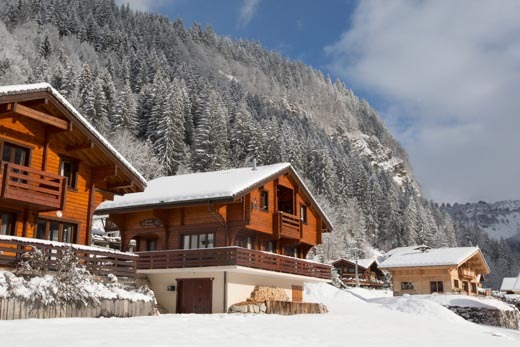 Perfectly located on the sunny side of Morzine, Chalet St Georges is just an 8 minute walk from the Super Morzine bubble and the centre of town. 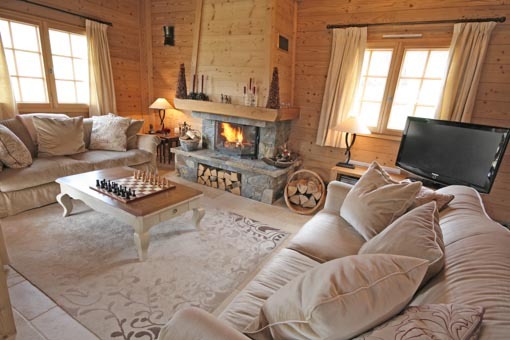 The chalet offers very spacious luxury accommodation with 5 bedrooms over 3 floors. This stunning architect designed chalet offers families a spacious luxurious place to stay. Conveniently located in a quiet elevated position overlooking Morzine, Robri is just a 15 minute walk from nearest lift & enjoys stunning views. 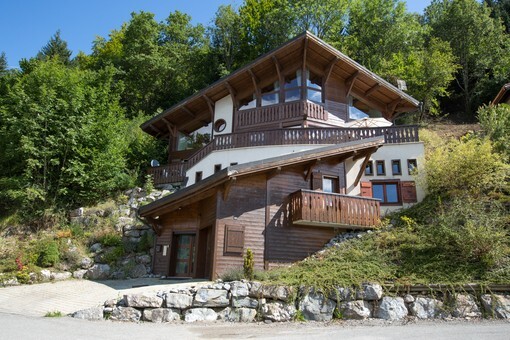 A perfect chalet for keen skiers, located just at the bottom of the home run to Prodains enabling you to ski back to the door. 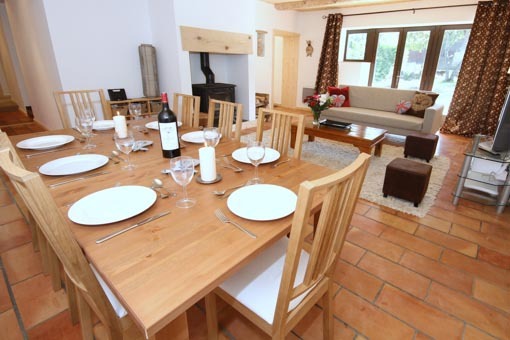 The spacious chalet can accommodate 10 guests in 4 bedrooms, and has a lounge and separate TV room. 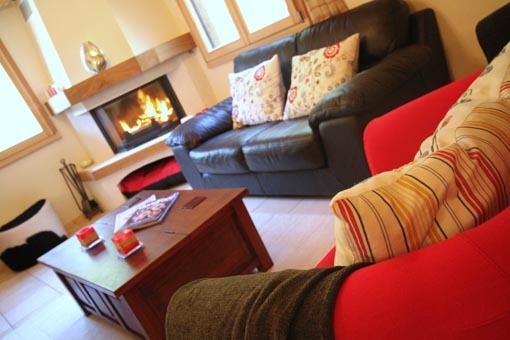 A great holiday rental located just below the ski run ‘Retour des Nants’ on the Pleney. You can ski to and from the chalet, snow permitting. The chalet can accommodate 10 guests in 5 bedrooms, and has a sauna and boot warmers. A recently renovated 3 bedroom apartment. With contemporary furnishings & a cosy Alpine feel, this spacious apartment is ideal for a small group or family. Located on the bus route to Ardent telecabine. A fantastic location right opposite the Nyon télécabine for fast access to the Morzine/les Gets ski slopes. You can ski to within a 100 metres of the apartment. The apartment can accommodate 8 guests in 4 bedrooms. An ideally located apartment, just opposite the Perrières chair lift. Completed in 2015, the apartment has been furnished to a very high standard and is a perfect family getaway. Underfloor heating and bootwarmers. 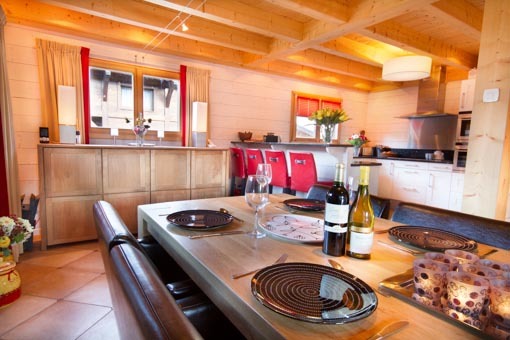 Chalet Mimosa is a charming chalet ideally located a couple of minutes from the nearest chairlift. 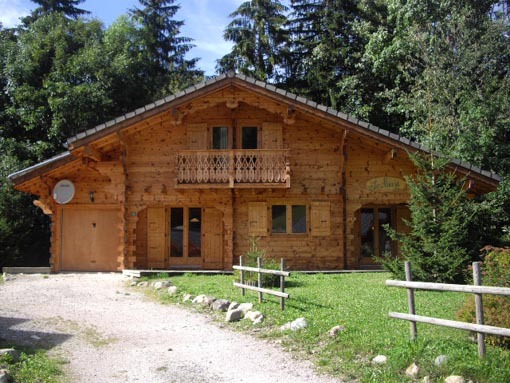 It is an ideal family chalet, with 3 bedrooms sleeping 7 people. This ground floor apartment is very light and spacious with 4 ensuite bedrooms sleeping 10 people. It is located just a couple of minutes from the nearest lift and ski school. This picture perfect chalet offers families & groups something a bit special in an idyllic location with stunning views close to Morzine. 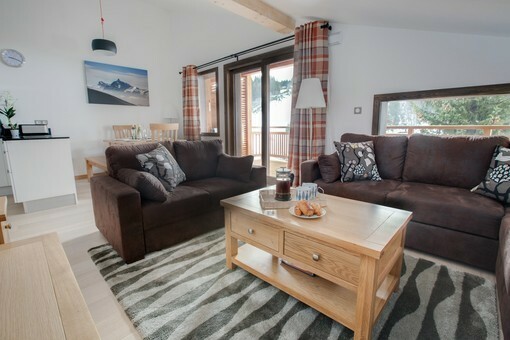 Chalet Iona has been built & furnished to an incredibly high standard and has 5 ensuite bedrooms.